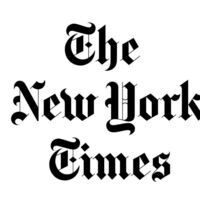 Lunch with NYTimes is a monthly discussion session of current civic and social issues reported in the NYTimes. Faculty, staff, and students are invited to lunch and dialogue about important issues/articles reported in the New York Times. Lunch with NYTimes is sponsored by the Provost Office, Advancement, Engagement and Economic Development, Professional Development Center and the American Democracy Project. LUNCH is provided by the Office of the Provost and the Professional Development Center.